This pretty Victorian home in London has been transformed into a modern, clean and spacious place for a family. 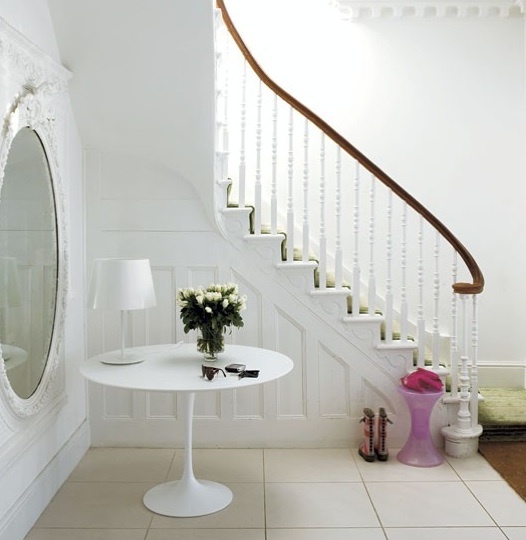 I am loving the clean white on the walls and floors with bright pops of colour in every room. 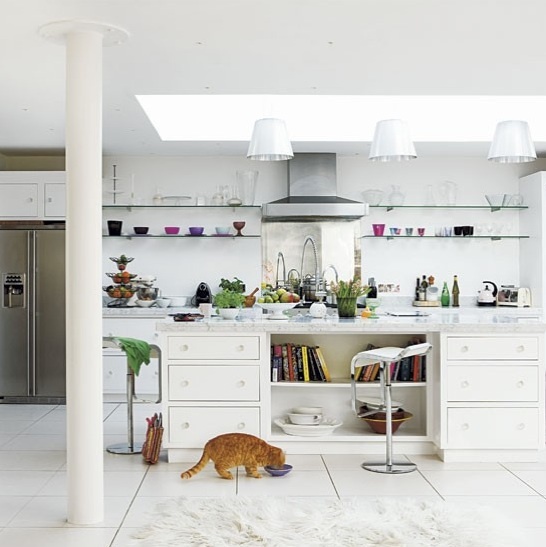 The kitchen has great open shelving and some homey touches to keep it from looking too stark. Antiques and chandeliers add just the right amount of contrast to this modern space . There is also lovely mix of textures with soft and cozy couches against marble and wood. Nicely done! Here are some other modern spaces here and here..